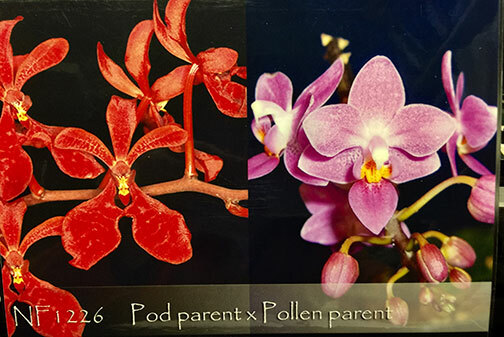 An intriguing new hybrid from the newest direction in breeding Phalaenopsis species with Vanda species ! No one has flowered one of these yet since they’re the newest in intergeneric breeding. A very compact grower with its growth habit dominated by Ren. monachica, yet displaying the broader leaves from Phal. schilleriana. Due to its Phalaenopsis parent, it can also tolerate lower light. A first release in the US and a very interesting new direction in this line of breeding. Highly Recommended ! note: only 4 available .